Stunning amethyst stone is truly a unique piece. One of a kind natural stone crystals add sparkle to any outfit. 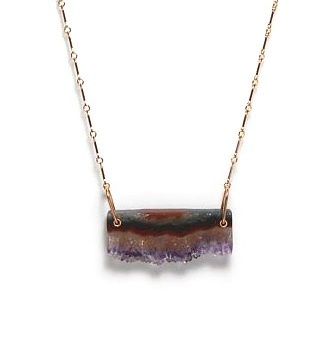 This piece slips right over your head on an elegant gold chain. The Ludlow necklace is hand made by small things. Find it at Stone & Honey.